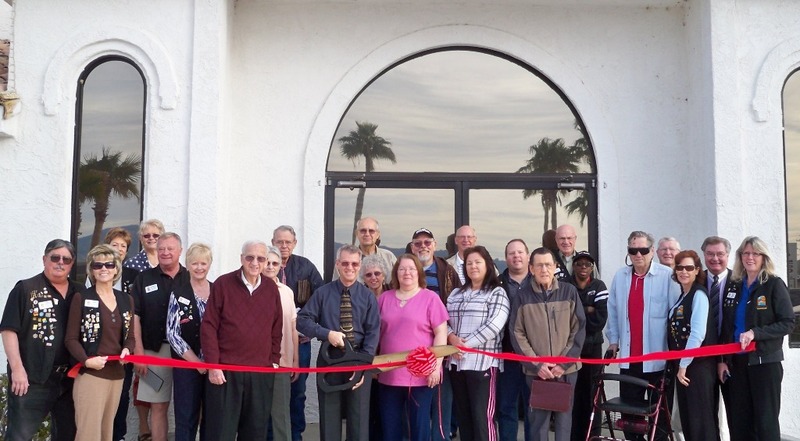 The Lake Havasu Area Chamber of Commerce held a ribbon cutting ceremony for Lakeview Community Church celebrating its 25th anniversary with the Chamber of Commerce. On hand for the ceremony from left to right: Denise Johnk, Brad Ray, Henry Johnson, Sandra Lee, Dorothy Chipman, Pastor Dale Ray, Hervey Sumner, Ida Revilla, Rodney Chipman, Jamie Stark, Dale Kuntz, Lewis Smith, Rollie Capes, Geraldine Browne, Raymond Williams, Wally Bakken, and Adrian Farmer. Lakeview Community Church is located at 1699 W. Acoma Blvd., and can be reached by calling 855-1942.